Anyone can make a wooden bookcase or bookshelves, although it will depend on what style you wish to make. 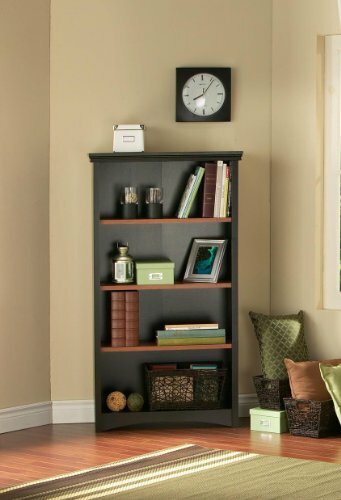 Bookcases are great to not only store your books you can also use them to store your DVD's, photos, or as display shelving. Learning how to make your own wooden bookcase is not hard. You will need to decide what type of wood, whether you want a pine, jar rah or walnut bookcase. Then work out where you will put it and how many shelves you need. If it is going under a window then you may want it longer with two shelves. Or you may wish to have a taller one with four or five shelves. If you have never worked with wood before then it may pay you to by a pre-cut bookcase pack. These come with the wood pre cut and fixing materials with complete instructions on how to put it together. This would be simpler for the less experienced person. You can still choose to stain the wood in the color of your choice. Plus this could be assembled in an hour although it would take longer for the stain color to dry. Make sure the wood is perfectly dry before placing anything on the shelves or the books will stick to them. When buying the timber from a timber yard you will still need to know how wide and tall you want your bookcase and the color. If you know the size you could ask them to cut the timbers to your required size. 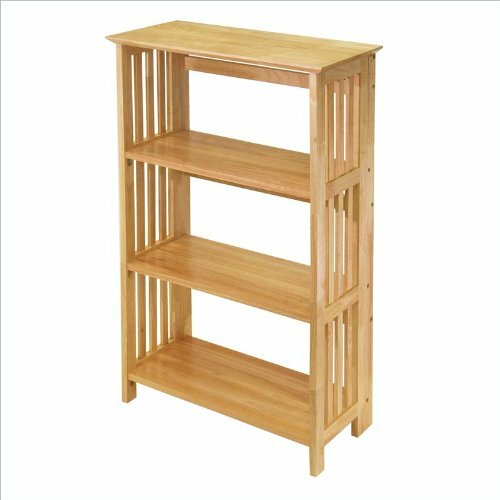 For the more experienced woodworkers a bookcase is one of the simplest things to make because it is all straight edges. When you have the right tools an average person could make one in two or three hours. If you make a wide bookcase then you may need to place a support section to stop the wood from sagging. This is an ideal foldable bookshelf. If you decide to move just take it with you as it is light weight and folds to save space. Simple idea to suit any room or office. Lay out you materials; put the two sides out then lay the shelves in between the sides so you know exactly where they will go. Drill a hole in the bottom of one side piece about thirty centimeters from the end. Then do the same on the other end. This is where bottom shelf will be fixed to the side. Place the bottom shelf up to the position of the drilled holes. Mark and pre-drill holes in bottom shelf, to match holes on side pieces then do the same at the other end. By pre-drilling the holes it will prevent the wood from splitting. Always use a smaller drill bit than the screws you are using. Now put the first screw into the side piece and align the bottom predrilled piece and screw into place. Now screw into other end of side piece through to bottom piece. Do the same with other side and bottom piece. You have now installed the bottom shelf. If you prefer to make your bookcase more firm, then place glue on ends before screwing into place. Wipe off any excess glue. Repeat this until you have drilled and screwed all the shelves into place. You could add a molding trim to make it look more professional if preferred. Fix the plywood to the back of your bookcase. Use a square to make sure it is correctly squared up. Now all you have to do is sand it down and paint or stain in the color of your choice. Make sure it is completely dry. Carry to the required position and add your books, then stand back and enjoy your achievement. Whichever type of bookcase you decide on I hope this article on how to make your own wooden bookcase will have given you the incentive to give it a go. Once you have made this then you can try lots of other woodworking projects to make. If you can download free woodworking plans on the internet. 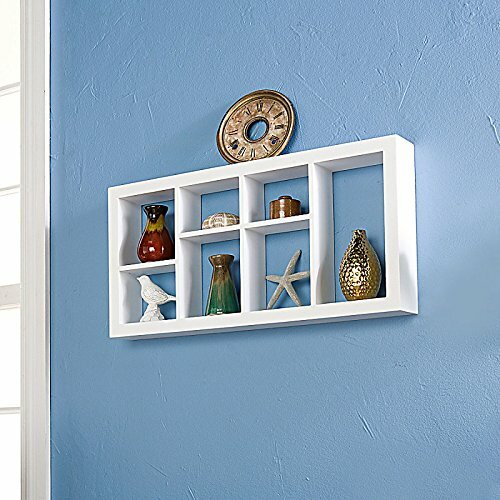 This wall shelving can be used to display your hobby collections, small books or a variety of ornaments. Easy to fix to your wall. I really like the bookcases with the glass fronts like you have in the photo above. I don't think I'll try that for my first attempt, though! I'll start with one like you describe. I have a friend that made bookcases for a guest bedroom. Then put in lined baskets to hold misc. items. It looks great. Thanks Lynsuz that sounds like a good idea and something different too.